← #JesuisCharlie – Je suis, Charlie! Anyway, I have embraced the name I married into and now have adopted it as my own. I have collections of Dove figurines all around my home. I decided to use my married name rather than use my maiden name or a pen name when I wrote and published my books, The Wounded Trilogy. I love my last name! I took on the name nearly 36 years ago when Charles and I were married so when you think about it I have been a “Dove” a lot longer than I was ever a “Jorgensen” (which is my maiden name). 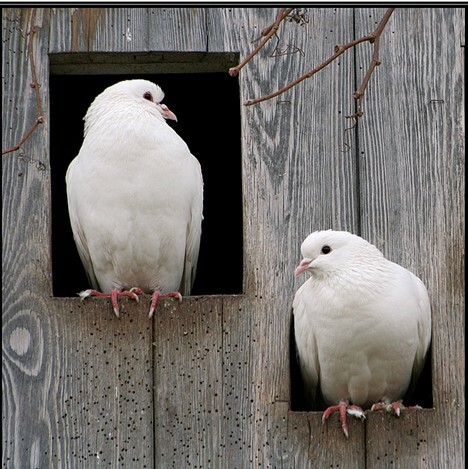 There is a rich heritage that goes along with both the Dove and Jorgensen names but for now I’ll comment on the Doves. My son, Brett, shares his birthday with his great Grandfather, William D. who was born on November 22, 1894. In God’s plan, Brett was born to be adopted into the Dove family 98 years later. Brett carries on the Dove name and along with it he embraces the legacy and history behind the name. Brett, has embraced the Dove name but has defined it in his own personal way as well. God has a specific plan and purpose in mind for Brett, just like all the Dove men before him, Brett’s life is grounded in faith. It is perhaps a parent’s greatest happiness and greatest sadness at the same time to “let go” of their children. When it comes to my son and my two girls, bird analogies seem appropriate. They have each taken wing and are flying high. Too much? I’ll let the bird analogies go… for now. This entry was posted in Family Life, Proverbs 16:9 - Journey Thoughts and tagged ancestry, doves, families, names, nests, new home, Parenting, Proverbs 24. Bookmark the permalink. You’re a wonderful writer, Lynn. I’m glad you’re my sister in the Lord.